Does Depo Provera Cause Weight Gain? Depo Provera (depot medroxyprogesterone acetate) is an effective and relatively easy form of birth control but does appear to cause weight gain for many women. In fact, weight gain is frequently cited as the reason women stop using the shots. Unlike birth control pills, that affect body weight primarily through fluid retention, Depo Provera can change body composition and increase fat mass. 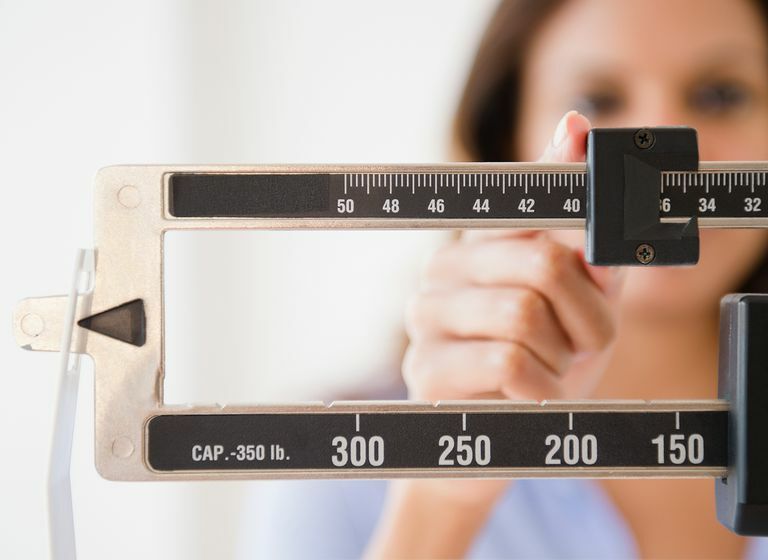 Not all women gain weight, however, and there are some factors that increase the chance, as well as ways to predict who will gain more weight. We will look at what the studies show about average weight gain when it is likely to occur, and what you can do to help control your weight if you choose this form of contraception. All types of birth control have pros and cons, and women vary in what best fits their needs. As you learn about the side effect of weight gain, it's helpful to consider this along with other benefits and side effects of the different methods available. Since 2009, studies have largely confirmed that Depo Provera can cause women to gain weight. The degree of this effect, however, can vary significantly—with some women adding a few pounds while others add a few dress sizes. It's helpful to begin by looking at one of the more comprehensive studies looking at weight gain on Depo Provera, as several other studies have revealed similar results. In this study, researchers compared weight changes in women on Depo Provera with weight gain in those who used either the pill or a nonhormonal form of contraception (such as a diaphragm). The study included relatively even numbers of white, black, and Hispanic women, and did not find significant differences between these women. They found that the weight gain that occurred on Depo Provera over a 36-month period was due to an increase in body fat mass. In contrast, weight gain among users of the birth control pill was primarily related to fluid retention. The degree of weight gain appeared directly associated with the amount of Depo Provera used. Somewhat surprisingly, the women who were not obese (had a body mass index of less than 30) at the onset of Depo Provera therapy appeared more vulnerable to this effect with 50 percent of non-obese women likely to become obese after three years. What Happens to Weight When Depo Provera is Stopped? Changes in weight when Depo Provera is discontinued vary depending on the next birth control method used. For those who switched to a non-hormonal form of birth control after stopping Depo Provera, the weight gain while on the shots was at least partially reversed. For these women, there was a mean weight loss of 3.75 pounds after 24 months. On the flip side, those switching to the pill experienced a gain of 3.75 pounds after 24 months (again, more due to fluid retention than the additional accumulation of fat). Several studies have found similar results when studying Depo Provera and weight gain. For example, a 2014 study that compared Depo Provera use to IUD use found that weight remained stable for those with an IUD, but increased by 4.2 pounds over 12 months for those on Depo Provera. Of these pounds, 3.5 pounds represented an increase in fat mass and women were noted to have increased abdominal (central) fat. Studies to date don't show a clear reason why weight gain occurs, at least with regard to diet and activity levels. In other words, it's not known if Depo Provera stimulates an increase in appetite (although in one study below, women who did notice an increase in hunger tended to gain more weight). When looking at potential mechanisms, researchers point to two effects that Depo Provera may have that could stimulate weight gain. One is that it has glucocorticoid effects. The human body produces these steroids (such as cortisone) in response to stress and other signals. When people are given glucocorticoids such as prednisone (for example, for asthma, COPD, or autoimmune disorders), weight gain is common. It's also thought that reduced estrogen levels during Depo Provera treatment may play a role in weight gain. With the current obesity epidemic, it's hard not to hear a news report about the health risks related to obesity. Unfortunately, young women are no less at risk than older people, and a 2019 study noted that the rates of some obesity-related cancers are rising steeply in young people. The rates of diabetes and its precursor, insulin resistance, are also rising sharply. A 2017 study suggested that the health effects of weight gain should be carefully weighed against the benefits of Depo Provera use. In this study, researchers monitored weight gain as well as inflammatory markers in the blood that can contribute to the development of some conditions such as diabetes. They found that a subgroup of women who gained more than 6.6 pounds were more likely to develop signs of insulin resistance. One of the earlier studies noted above found that lean women were more likely to gain weight, but how can you know if they will be one of the women who gains dress sizes rather than a few pounds? A 36-month study found that one predictor of significant weight gain was early weight gain. "Early weight gain" was defined as a weight gain of 5 percent of body weight or more during the first 6 months on the shots. (For example, a weight gain of 5 pounds in a 100 pound woman or of 10 pounds in a 200 pound woman). In this study, roughly 25 percent of the women met this criteria. Those who did have early weight gain were more likely to gain further weight, and in fact, their weight grew steeply on average with longer use of the medication. For early weight-gainers, the average increase was 0.78 pounds per month going forward, and for non-early-gainers only 0.18 pounds per month. Risk factors for being an "early gainer" included a body mass index less than 30 (not being obese), having had children, and experiencing an increased appetite on the shot. Many doctors who recommend Depo Provera recommend lifestyle changes to compensate for the weight gain. Unfortunately, this isn't always effective. A European study looked at whether counseling on healthy lifestyle habits could help offset weight gain. Unfortunately, the women still experienced an average weight gain of 4.9 pounds over 12 months, with a 2.2 percent increase in body fat. A 2015 study with adolescents went into greater detail on eating habits, recording not only calories ingested, but specific nutrients consumed. They found that despite the weight gain, dietary intake (the amount of food eaten) didn't change substantially. Instead, the proper balance of nutrients changed. For those who choose to take Depo Provera but wish to avoid the weight gain, eating a balanced diet seems to be more important than counting calories. Diet quality rather than diet quantity (number of calories consumed) appears to be most important when trying to avoid weight gain on Depo Provera. This choice of contraception is a highly personal one. For some women, the benefits of convenience may far outweigh any possible side effects. In the end, there is no right or wrong answer, though women who are at risk for diabetes may want to consider other methods. Not everyone gains weight on Depo Provera, and it's probably possible to reduce the chance you do by engaging in regular exercise and eating a quality diet. Dietary recommendations have changed considerably in recent years, and it can be difficult to know what's right to eat amidst the hype and fad diets. That said, eating a diet that is rich in vegetables and fruits and with quality protein is key. Asking your doctor for a referral to a knowledgable nutritionist may be worth the time it takes. Berenson, A. and Rahman, M. Changes in Weight, Total Fat, Percent Body Fat, and Central-to-Peripheral Fat Ratio Associated with Injectable and Oral Contraceptive Use. American Journal of Obstetrics and Gynecology. 2009. 220(3):329e1-329e8. Dal'Ava, N., Bahamondes, L., Bahamondes, M., Bottura, B., and I. Monteiro. Body Weight and Body Composition of Depot Medroxyprogesterone Acetate Users. Contraception. 2014. 90(2):18-27. Modesto, W., Bahamondes, M., Silva dos Santos, P. et al. Exploratory Study of the Effect of Lifestyle Counseling on Bone Mineral Density and Body Composition in Users of the Contraceptive Depot-Medroxyprogesterone Acetate. European Journal of Contraception and Reproductive Health Care. Batista, G., de Souza, A., Marin, D. et al. Body Composition, Resting Energy Expenditure and Inflammatory Markers: Impact in Users of Depot Medroxyprogesterone Acetate After 12 Months Follow-Up. Archives of Endocrinology and Metabolism. 2017. 61(1):70-75. Lange, H., Belury, M., Secic, M., Thomas, A., and A. Bonny. Dietary Intake and Weight Gain Among Adolescents on Depot Medroxyprogesterone Acetate. Journal of Pediatric and Adolescent Gynecology. 2015. 28(3):139-143. Le, Y., Rahman, M., and A. Berenson. Early Weight Gain Predicting Later Weight Gain Among Depot Medroxyprogesterone Acetate Users. Obstetrics and Gynecology. 2009. 114(2 Pt 1):279-284. Sung, H., Siegel, R., Rosenberg, P., and A. Jemal. Emerging Cancer Trends Among Young Adults in the USA: Analysis of a Population-Based Cancer Registry. The Lancet Public Health. Published Feb 3, 2019.